 The Order was first worked in England in 1777, having probably originated in France. There are two Degrees: Knights Templar and Knights of Malta, these being joined by a ‘passing’ Degree of Knight of St. Paul. A candidate for the first Degree is in the position of a pilgrim travelling symbolically through hardship and dangers until he is received as a Knight. It teaches humility and urges the candidate to live his life as a Christian Knight. The second Degree deals with the period when the Knights travelled from Palestine to reach their final home in Malta, emphasising their Christian virtues. For more information on the Order of Knights Templar or to give it its proper title: The United Religious, Military and Masonic orders of the Temple and of St John of Jerusalem, Palestine, Rhodes and Malta in England and Wales and Provinces Overseas, please contact the Vice-Chancellor: Terry Jessop or click on the link to the Provincial Priory of Dorset & Wiltshire. The Prior for the Provincial Priory of Dorset and Wiltshire is John Cave. John was born in Yorkshire, grew up in Warwickshire and was posted to Wiltshire in 1982, four years before completing his military service. He and his family decided that living in Wiltshire was very similar to being permanently on holiday and settled down for the duration. After completing a BA with the Open University as preparation for civilian life his second career was as a Lecturer in Electronic Engineering and finally as an Academic Registrar. He is married to Linda, has two children, three grandchildren and has now retired to enjoy the garden and fishing in the summer and shooting and military history in the winter. John has finally given up running but, having walked the entire South West Coast Path, still likes to walk by the sea when time and European holidays permit. Provincial honours include the appointment as Assistant Provincial Grand Director of Ceremonies in 2007; having completed a year as Provincial Junior Grand Warden, John was appointed Past Provincial Senior Warden. Exalted into the Royal Arch in the Chapter of Harmony in Devizes in 1993 and Installed as First Principal in 2004 he was appointed successively as Provincial Assistant and Deputy Grand Director of Ceremonies. Honoured by appointment as Provincial 3rd Grand Principal in 2010 and he was further honoured as Past Grand Standard Bearer in Supreme Grand Chapter in 2013. In the Ancient and Accepted Rite he was Perfected in Lansdowne Chapter in 1997, MWS in 2004 was awarded the 30th degree in 2005 and is also a member of Avebury Chapter. 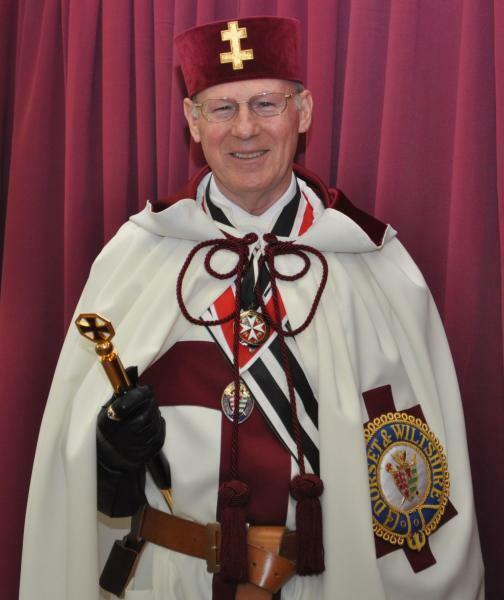 Installed as a Knight Templar and Knight of Malta in William Longespée Preceptory, in Salisbury, in 1994 and Eminent Preceptor in 2001; he was a founder of Royal Durnovarian Preceptory, also in Salisbury, in 1999 and its Eminent Preceptor in 2009. Serving the Templar Province of Dorset and Wiltshire successively in various offices including Vice-Chancellor (Provincial Secretary) for seven years and Chancellor he held Great Priory appointments as Past Deputy Great Sword Bearer in 2006 and Past Great Herald in 2011 before his Installation as Provincial Prior in June 2013. The Order is administered from Mark Masons' Hall located in London's fashionable St James's Street. 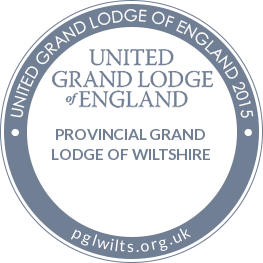 The Province of Dorset and Wiltshire is the oldest Province in the Order, having been 'Erected' by the Duke of Sussex, then Grand Master of both the United Grand Lodge of England and the Great Priory of the United Orders of the Temple and of Malta, in 1836. 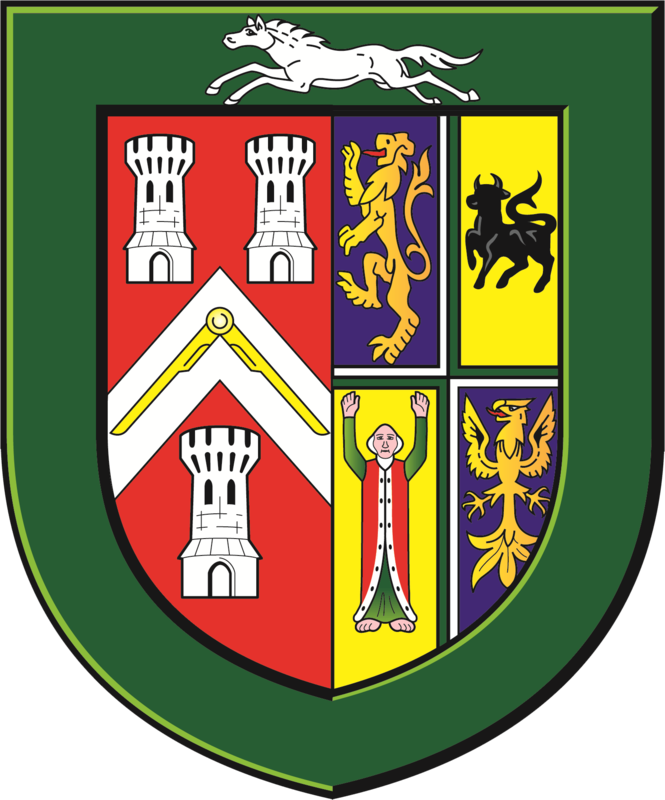 The Provincial Prior of Dorset & Wiltshire, R.E.Kt. John Walter Cave, accompanied by his Provincial Sub-Prior, E.Kt. 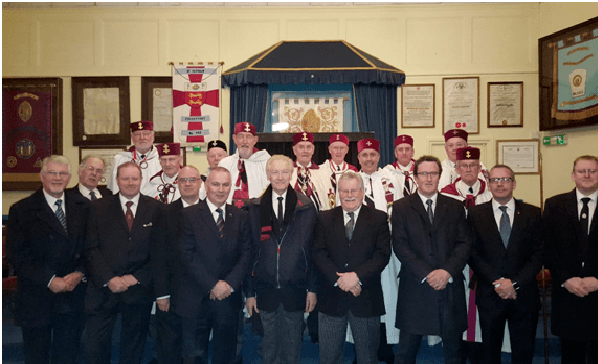 R F Micklefield, joined the Eminent Preceptor and Brother Knights of St. Aldhelm Preceptory No.492 in Malmesbury when it recently organised an ‘open evening’ to ten prospective members eager to learn more about the Order. Following a ‘questions and answers’ session the guests were invited to attend the Festive Board, where they were wined and dined as guests of the Preceptory. The Eminent Preceptor would like to thank everybody who took part in this initiative. The evening was considered a huge success and the Preceptory is delighted to confirm that three of the ten guests have requested applications forms to join the Order. This article and picture was provided by Alan Lester, Deputy Commander of the Provincial Prior’s Bodyguardy. The Provincial Prior of Dorset and Wiltshire with his counterpart in Gloucestershire and Herefordshire achieved a rare fraternal visit at St Aldhelm Preceptory Malmesbury on Monday 12th December. 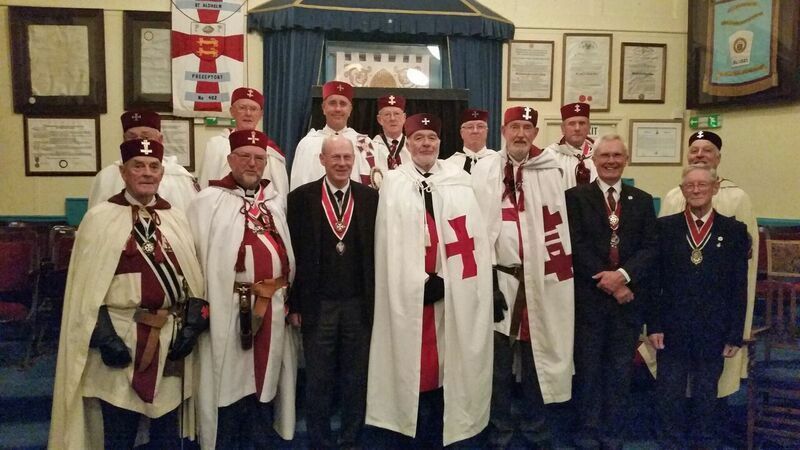 St Aldhelm Preceptory acted as host for the evening in what was the first occasion the two Provinces had come together with the meeting being such a great success that a future date for a reciprocal meeting, probably in Cirencester is being arranged. St Aldhelm Preceptory was fortunate to haveW Bro Geoffrey Hunt as a candidate for Installation as a Knight of the Order. The evening produced a total of 34 visitors from both Provinces. Members of the Province of Gloucestershire and Herefordshire participated in the ceremony which made the evening a spectacular event for the candidate. This article and picture was provided by Michael Sharp of St Aldhelm Preceptory Malmesbury.